Smart logistics is the patented solution involving automating the transshipment process and hub operation. Which defines various aspects of logistics activities such as inbound process, allocation in the warehouse, scanning and loading for outbound process. 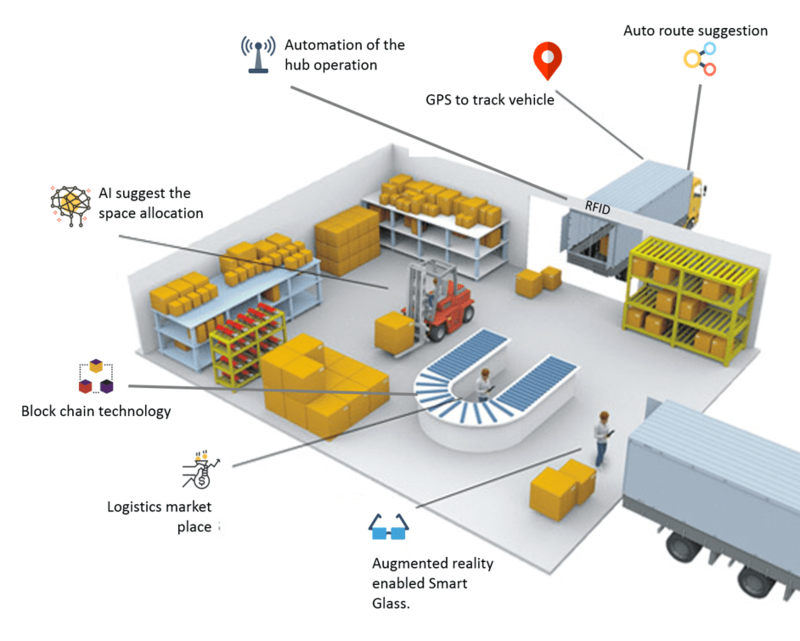 Smart logistics make logistics activities possible in such way that each and every information starting to end can be traceable, multiple technology like Artificial intelligence, augmented reality, radio frequency identification, block chain technology can be used for different purpose. However basic concept of scanning the whole vehicle in the hub and vehicle wise shipments verification while inbound shipment process and once vehicle is identified with all the shipment.